being MVP: Munchkin & Giveaway! Munchkin has products for your nursery, diapering needs, feeding, toys and much more. We received an assortment including the click lock cups. "I wasn't sure if my son was ready for a sippy cup. He's only 6 months old, but the Munchkin Trainer Cup is designed for ages 6months and up, so I thought I would give it a try. I figured it would take a little practice for him to really learn to use the cup, so I was surprised when he was able to drink from it right away, no problem! He loves his cup and he drinks water all the time now. He can't get enough of it. Even though he is only 6months old, he can already use his hands and grasp the handles on the sides of this cup to hold it. He needs a little help to tip it back, so I try not to let the water level get too low. I also like that it is BPA free. The click and lock design on this cup is completely leak-proof. I can just toss it in my diaper bag and I don't have to worry about spills!" "The munchkin flip top straw cup is designed for children 12months and up. It is BPA free, and definitely spill proof, we haven't had any leaks with this click lock cup. It holds 9 oz., which is a good amount without being too heavy for her to carry. The cup itself is very light, but sturdy at the same time. My daughter loves the flip top design, and I don't have to worry about germs as I do with cups with an exposed spout, because the straw that the child drinks from is kept clean when it flips down and disappears. Even though my daughter is old enough to drink from a regular cup now while we're at home, the Munchkin straw cup is perfect for when we are out and about. The one thing she doesn't like about this cup is that it sprays milk at her when she flips the straw open. I found this cup easy to wash and clean; the whole straw pulls right out from the lid. Putting it back together again was another story. It was a little tricky to insert the straw back into the cup after drying. I couldn't figure it out until I read the directions and I realized you have to take apart the flip top lid in order to get the straw back in." Buy It: You can purchase Munchkin products here. Make sure to connect with Munchkin on Facebook and Twitter! One Winner will Receive a Set of Munchkin Click Lock Cups! I really want to try out their snack catcher! The car bottle warmer looks handy! I think the snack tower and the snack catcher look handy. Snack catcher! It's a must have! Dora Insulated Spill Proof Cup! I love the designer diaper kit. I would love the travel bottle warmer! I really like the Funpack Harness! The slam dunk potty seat is super cute! Would love to have their White Hot® Inflatable Safety Tub! love the bath time float and stack buddies! I love the travel bottle warmer! I also like their Travel Booster Seat. Cindy B (on rc/fb) ~ the wonder waterway looks like a fun bath toy. I'd like the snack tower to put in my diaper bag! I love their quick install 26in gate. I would like the quick install gate. The Nursery Projector and Sound! 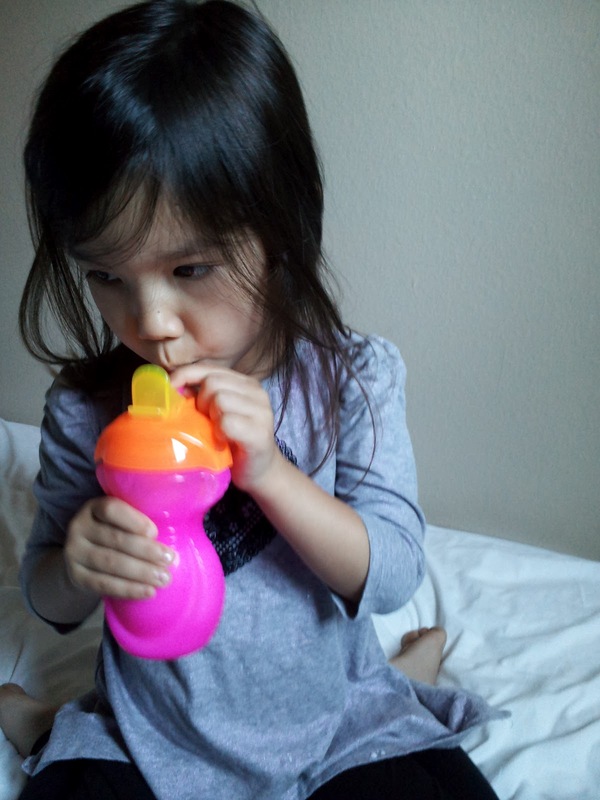 9oz Dora the Explorer Click Lock Insulated Sippy Cup. I'd love to have the Fresh Food Freezer Cups! I'd love to have the Snack Tower! 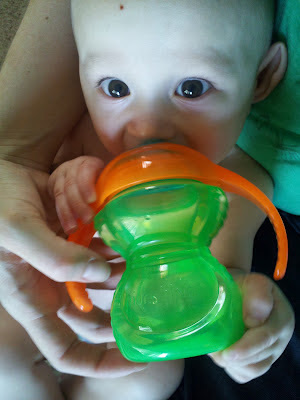 I like the Twisty® Figure 8 Teether Toy. The star fountain looks really fun! I love the sippy cups with the click tops...this way I know they are sealed! I would like to have the quick install gate. I love the Bath Fun Bubble Blower! I would love to have the Sprout Drying Rack! we would love to have the snack tower for our diaper bag. I would also love the 9oz Click Lock Insulated Big Kid Cup! I think I am going to have to get a few of the easy close gates when my daughter becomes mobile! I'd love to have the snack catcher! i'd like a travel booster seat or a snack catcher! I'd love to get the Wonder Waterway. I'd love to have the Munchkin 26" Quick Install Gate. I really like the Sprout Drying Rack. That would definitely come in handy. My baby just started eating solids, so I'd like to try some of their spoons. The snack tower seems like a great find for the diaper bag or car trips! I would love that! I'd like to try their Star Fountain - my girlfriend has one and her daughter loves it! The Baby Care Cart looks very nice!